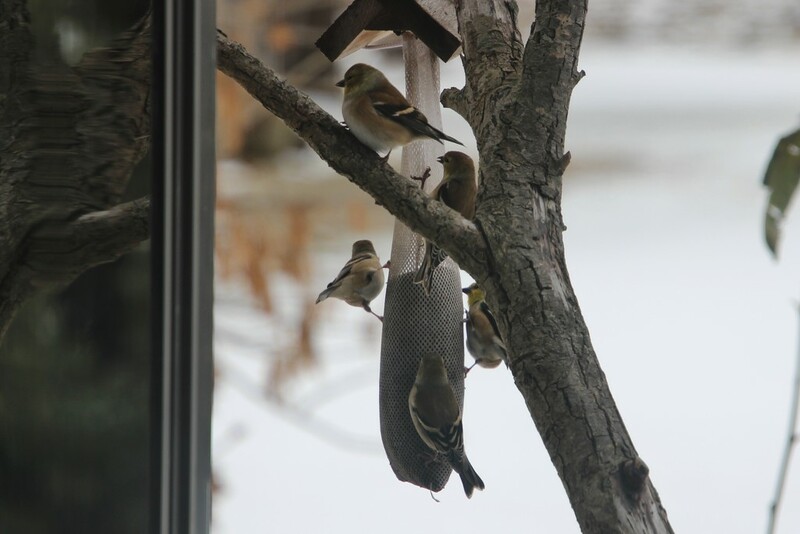 I don't remember our American Goldfinches hanging around for so long any other year! So I don't think I'd ever seen their winter plumage. This was one of their last days at our feeders.